Yikes! With 1,892,729 books out there, how do I pick the right ones? 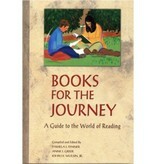 Start here with Books for the Journey: A Guide to the World of Reading. Nearly 1, 500 of the 'best books ever', selected by teachers, curriculum directors, librarians with help from high school students themselves are organized by category, marked for appropriate high school grade levels, and include a two to six line description of each book. 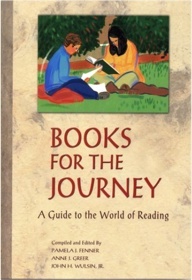 From Leonardo DaVinci s notebooks to modern writers, Books for the Journey includes hundreds of titles that spark imagination, introspection and idealism. Representing dozens of cultures, these lists include both classics and lesser known, but equally worthwhile books. Mythology, drama, poetry, fiction, biography, history, non-fiction they re all here. Even a section where high school seniors chose the books that made a difference in their lives. Each category also includes a Reader s Road Map written just for teens. If you are... A teen beginning your exploration of books A seasoned reader eager to take on the classics of literature A teacher, parent, or guidance counselor looking for books to recommend to your students An adult who wants to capture the magic of the books you missed in high school or college Someone who grew up speaking a different language and wants to use English literature as a learning tool you will come back to this guide again and again! Author: Pamela J. Fenner, Anne Greer, John Wulsin Jr.